The off season has been slow with teams weighing their chances with Japanese phenom Shohei Ohtani. Behind that there are big hopes for teams that think they have a shot at landing the biggest slugger of all right now in major league baseball, Giancarlo Stanton, from the Marlins. Surely the Red Sox front office would love to get their hands on either one of these options for the 2018 season, but realistically it would seem that their behind on bonus pool money as Ian Browne pointed out. "But the obstacle for Boston is this: Its allotted bonus pool for Ohtani is $462,500. The Rangers, Yankees and Twins can both offer him over $3 million, and the Pirates, Marlins and Mariners are all at $1.5 million or higher." As for Stanton, it seems he might be leaning towards the Dodgers and that leaves the Red Sox out of the running. With the payroll required to host Stanton at Fenway, it's probably better for our ticket prices if he never appears in a Red Sox uniform. That leaves the rest of the Red Sox free agents waiting for something to happen that unblocks the market. All except Doug Fister that is, who signed with Texas Rangers this week for a 1 yr $3.5 MM deal with 2019 $4.5 MM club option. 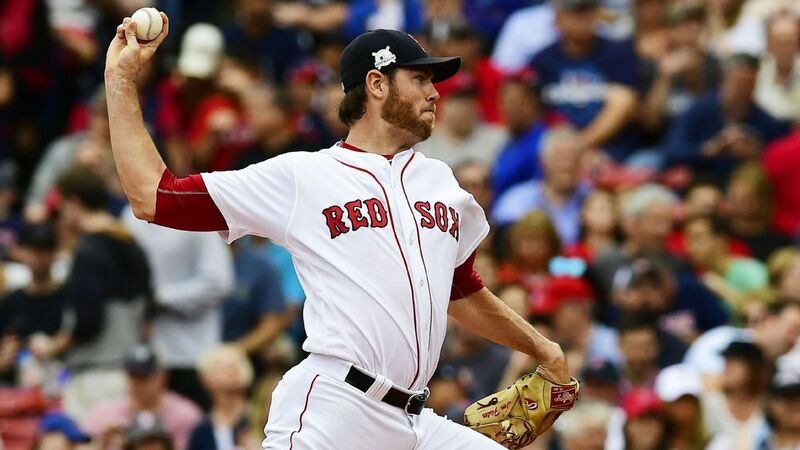 In Boston Fister was effective down the stretch going 5-4 with a 4.43 ERA and a 1.22 WHIP in his last seven starts. This caught the attention of the Rangers, who needed a solid veteran pitcher for 2018. Fister gave credit to the Red Sox pitching staff for getting him back to where he needs to be, more deceptive, better action on his sinker and he also was able to increase his velocity. "I feel like I reverted back to my old ways," Fister said. "Getting back to maximizing my pitching efficiency. I feel like I have the ability to repeat my delivery and get the pitching quality back up to where it used to be. I feel 100 percent, and able to manipulate the ball the way I used to." That's one down, eleven Red Sox free agents to go. As far as the shopping outside the organization goes, the Red Sox have reached out to the White Sox about Jose Abreu. After last seasons trade for Chris Sale, it would seem that a lack of prospects would make any deal hard to achieve. Despite this problem, the Red Sox are showing interest for 30 year old Abreu, who's under contract for two more seasons. His salary projections are around $17.9 MM for 2018 and that's something the White Sox might want to get off their books during their rebuilding phase. Abreu, who can DH or play 1B, was a solid hitter in 2017 with a .304 AVG, 33 HR and 102 RBI. Get ready Red Sox Nation, starting the week of 11 Dec you will see the trade market open up as the Winter Meetings kick off. Will the Red Sox land a big bat? Will they keep any of their free agents?